The IPO markets in India have been abuzz for the last two years. In the calendar year 2016, Indian companies raised over Rs33,000cr via the IPO route. The IPO markets in India have been abuzz for the last two years. In the calendar year 2016, Indian companies raised over Rs33,000cr via the IPO route. In calendar year 2017, IPOs raised over Rs75,000cr, largely assisted by some mega divestments by the Indian government and OFS from groups like ICICI, HDFC and SBI. In the first half of 2018, IPOs have already raised Rs23,700cr and counting. However, it has been noted that the response from the retail category and the HNI category has been quite tepid in the last few issues. That is also showing up in the post listing performance of these stocks. How did the 10 recent IPOs actually perform? Clearly, five out of the last 10 IPOs are quoting at a steep discount to their issue price. That is unlikely to inspire too much confidence in the IPO investor. Even the subscription from the retail and the HNI (non-institutional) portion has been extremely tepid in most of the issues. This is in stark contrast to the 2015-2016 periods when most of the IPOs would list at a premium. In fact, some of the marquee names like Avenue Supermarts and Shankara Building Products have been multi-baggers since listing. So, what explains the tepid response to IPOs, especially from the retail and HNI segments? That is something even the SEBI chairman, Ashok Tyagi, had pointed out. In their enthusiasm to get the best price in the market, many issuers and investment bankers possibly went overboard, pricing the issue too aggressively. However, as IPOs started getting increasingly listed at a discount to the issue price, it created a vicious cycle of aggressive valuations impacting pricing and investor interest being impacted by this post-listing performance. PSUs like HAL and Bharat Dynamics were just too aggressive in their pricing. The last straw was when ICICI Securities had to scale down its IPO size due to tepid response. HNI oversubscription that resulted in robust demand for the IPO was among some of the key issues in 2016 and 2017. Typically, the HNI segment adopts the "borrow and invest" strategy. That is where the catch comes. Banks are interested in financing IPOs if oversubscription is likely to be substantial. 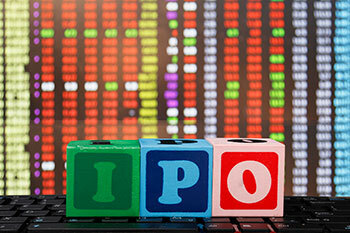 HNIs will be keen to take IPO loans if they can be reasonably certain of a good listing. The HNI breakeven price keeps going up based on the extent of oversubscription. That calculation has not been favourable in the recent past. During 2017, out of the total amount of Rs75,000cr raised through IPOs, Rs40,000cr were accounted for by just 4 IPOs viz. GIC Re, New India Assurance, HDFC Life and SBI Life. Incidentally, all were insurance companies with little precedent on pricing. All of them tended to be aggressively priced leading to a very sober post-listing performance. That largely dented retail and HNI interest in IPOs. Some of the largest government sponsored IPOs like GIC Re, New India Assurance, Bharat Dynamics and Hindustan Aeronautics received tepid investor response. The fact that LIC had to intervene and bail out these issues did not go down too well with the IPO investors. That resulted in a very tepid response for most of the PSU IPOs. The Fed trajectory on rates continues to be a major overhang for FPI appetite in IPOs. FPIs typically prefer IPOs in companies where they can get an exit on listing or where they can lock profits by selling futures. With both options not available to FPIs in most of the cases, the FPI response also ended up being restrained. While these were the broad issues leading to a tepid response for IPOs, there have also been other developments that have forced investors to go slow. The PNB fiasco has raised questions on banking surveillance. The issue surrounding ICICI Bank is raising issues of corporate governance. Then there is the overhang of a mini-war in the Middle East, higher crude oil prices and a potential trade war. While quality issues are still getting a good response, as is evident in the case of HDFC MF, investors will have to tread the IPO path more carefully.